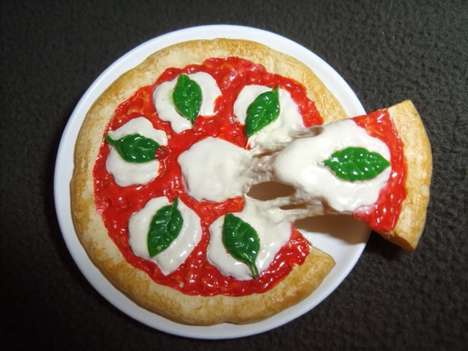 Often when people wear they're food it's not intentional, especially when pizza is the food in question with its gooey cheese and oozy sauce; but now a new line of accessories is making pizza fashionable. But no, I don't mean those leftovers from a meal. 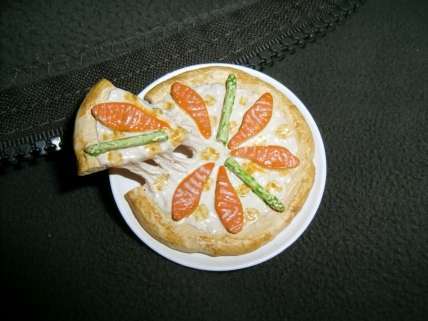 From the Doll's Tea Room on Etsy are these kitschy Japanese Pizza Broaches with floating pizza slices. 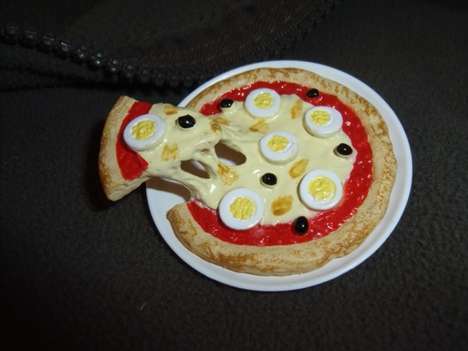 The designs are Japanese since the feature pizza flavours that we can't typically find here in North America like salmon and asparagus or egg and olive. Broaches have been making a comeback, but these are definitely different from the more classic designs. What do you think about wearing your pizza as an accessory?